As in a similar case in Florida, a case brought by multiple Mississippi auto body shops against the nation’s largest insurers has been dismissed — but the shops will have a chance to reargue their cases. Middle District of Florida Judge Gregory Presnell ruled Friday on Capitol Body Shop, Inc. et al v. State Farm Mutual Automobile Insurance Company et al. The case and several others in different states are being heard by the Florida court because the details are so similar. 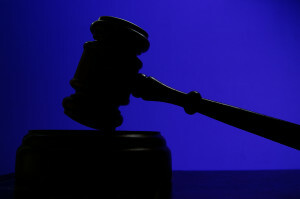 A&E v. 21st Century, a case against insurers by Florida body shops, saw the same dismissals by Presnell: The fourth “count” of “quasi-estoppel” was denied with prejudice — meaning no “do-over,” and the rest were dismissed without prejudice, giving an option to refile a different version of the accusations that could satisfy the court. Though it’s being heard in Florida, Capitol v. State Farm will rely on Mississippi law whenever different from Florida law. A Feb. 9 recommendation of the same ruling from district Magistrate Judge Thomas Smith — whom Presnell had asked to review the case — points out similarities and differences between the two states’ laws and the parties’ arguments. The dismissal here, as in the A&E case, doesn’t mean the auto shops have lost, despite court disagreements with the arguments presented. For example, Jackson, Miss.-based Eaves Law Firm, which was handling both the Mississippi and Florida cases, expressed confidence that they’d expected the A&E ruling and could satisfy the judge in the similar Florida case. A new complaint filed by the Florida shops seemed to carry more specifics, a feature Presnell said had been lacking in the previous lawsuit. A new complaint is due March 20 by the Mississippi collision repairers. A closer look at Smith’s rationale for dismissing the seven allegations that can be raised again — Presnell didn’t give any indication he disagreed with them — indicates possible avenues the shops can take in a new complaint. The collision repairers said defendants were using this as a “ceiling,” but it was really a “floor,” according to Smith. But he said the opposite was true given the words “the most” in the law. That’s a tough restriction for auto shops if that ceiling’s been artificially lowered, as Capitol and A&E allege. Quantum meruit under Florida law is an implied contract where Party A gives Party B something (whether that’s an item or a service) for free that any reasonable person would have been paid for. As that has been called “unjust enrichment” under Florida law, Presnell gave a single ruling that applied to both counts in A&E. Mississippi law is a little different. Quantum meruit in that state applies to both real and quasi-contracts. It’s a subset of unjust enrichment, which applies to any situation where you get something you should have paid the other party for. Clearly, Smith wrote, the Mississippi case involved the more specific quantum meruit category, which made the unjust enrichment claim redundant — particularly in direct repair program contracts, even if not every pricing situation was spelled out within them. He also noted that the collision repairers alleged that the contracts weren’t enforceable but didn’t give a reason. He also sought more specifics on which plaintiffs were in DRPs with what defendants. It sounds like more detail will do the trick here. Some defendants also raised the point that you had to expect payment to raise a quantum meruit claim, and the auto body shops’ complaint that insurer had been refusing to pay them seemed to imply that they couldn’t expect the money from the defendants. “Defendants’ repeated and persistent refusal to pay the amounts demanded by Plaintiffs makes unreasonable any expectation on the part of Plaintiffs that Defendants would abruptly begin paying the amounts Plaintiffs believe their services are worth,” Smith wrote. This seems absurd at first (You mean all I have to do to avoid paying you what I owe is refuse to do it? ), but it might be an attempt to keep anyone from trying to bill Mississippians for unsolicited work. For example, if you hired a plumber to fix your sink and came back to find he was giving you a bill for the unsolicited painting of your bathroom, you’d be pretty upset. Smith observed Mississippi law prefers contracts be used to determine what will be exchanged for what compensation instead of going to court after the fact to hash it out, which implies it’s more difficult to recoup money for work done on spec. A more specific argument might still work here; after all, policies usually call for repairs to put a vehicle back in the same condition, so perhaps attempting to say certain costs were part of the scope of the work agreed upon might have more legs in court. Either way, the lesson here seems to be precision with your customer or insurer about what you want to do, followed by the OK to do it. Don’t make a needed repair thinking you’ll be reimbursed, even if it seems obvious to you that a customer would want it. Get an oral or written OK or something else you can use in court to imply a contract. Unlike Florida, which requires interference in a specific business relationship, Mississippi law lets you claim tortious interference on a more general level. So Smith wouldn’t dismiss that accusation for that reason; rather, he said the issue in Mississippi was a lack of specifics between which insurer interfered with what plaintiff. Under Mississippi law, skipping out a debt isn’t conversion (you can still get sued for it, just not that way), even if you received a good or service without having paid for it. So Smith dismissed that count too. He also noted that specifics on the amount the insurers had allegedly kept weren’t provided, though it seems like the broader debt-exception issue would have made that point moot. The allegations of federal antitrust violations raised in Capitol were the same as in the A&E case, and so Smith argued that they should be dismissed for the same reason here. Presnell in his A&E ruling said that while there was some confusion between the shops and insurers, he interpreted the accusation of price-fixing as horizontal (between insurers) instead of vertical (between insurers and other parties in the food chain). The shops, according to Presnell, are arguing that the insurers all refused to pay more than what State Farm declared the market rate to be. But Presenell said he needs proof of them actually agreeing amongst each other to do so; while coincidental behavior is admissible in Sherman Act cases, he ruled, it’s not illegal for everyone to independently follow suit to stay competitive (“lawful parallel conduct,” the Supreme Court called it). So while it might look suspicious that all the insurers suddenly decided to start paying as much, that isn’t illegal. The shops will need to find a “smoking gun” showing actual collaboration on it. Presnell said the same thing about the boycott charge — more proof is needed. Ideal for the shops’ case would be evidence of refusal to pay a claim or even let a policyholder go to a certain shop and/or evidence showing the insurers working together to boycott shops that wouldn’t play ball. Barring that, it sounds like better evidence of badmouthing shops that would accept the insurers’ terms would help. Some of that proof might be found in the new A&E lawsuit. It points out that State Farm is the only company who has done a labor rate survey — though it notes that others have started since the lawsuit was filed — and it refuses to share it. Yet the other insurers are magically deciding to pay only what State Farm does, when it does. Similar timing happened when paint and materials was raised to $26/hour by State Farm, with Geico upping its P&M rate the next day and others doing it within the month.